However, by the 1960s, Argentina turned to Europe (“Plan Europa”) for the delivery of AMX-13/105s and the comparable Austrian Kürassier (112 still in service). Although armed with a 105 mm (4.13 in) main gun, both were light tanks, lightly protected, and therefore not suitable as main battle tanks. 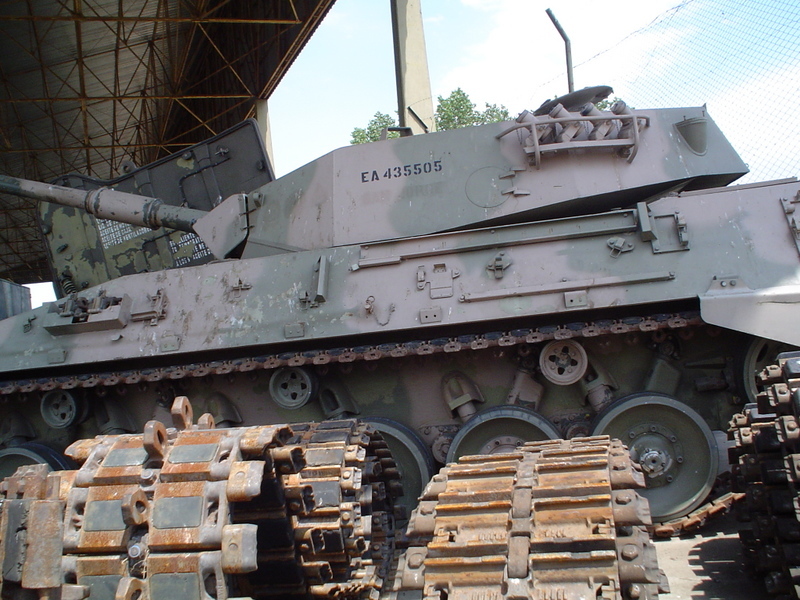 The French AMX-30 and the German Leopard were examined for purchase or under license production. In the 1970s, the government launched an ambitious program for a European-based domestic-built medium tank, the TAM (Tanque Argentino Mediano). Largely inspired by the German Leopard, it became one of the few examples of large production tank in South America during the Cold War. 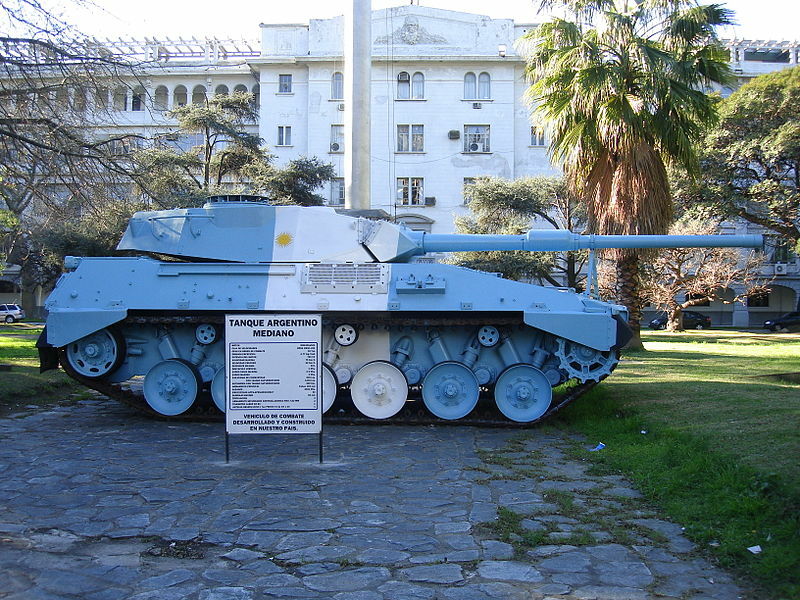 Due to the lack of experience and industrial resources for building a modern tank, the Argentinian Ministry of Defense, impressed by the German Leopard’s performances, turned to Thyssen-Henschel to design a domestic model. This vehicle would be largely based on German components but tailored for the Argentinian army needs. Specifications asked for a lightweight (30 tons), fast (75 km/h or 45 mph), low profile, 105 mm (4.13 in) armed tank that was able to deal with most AFVs used in South America. For this, it was to be based on the Marder IFV, substantially smaller than the Leopard and therefore more suitable for a medium tank. The development began in 1974, and in early 1977, two early prototypes were delivered by the joint Argentinian-German team and extensively tested on a 10,000 km (6,200 mi) test run in various conditions, climates and terrains. In the meantime, a 9,600-square-meter (103,000 sq ft) state-owned plant, called TAMSE, was set-up for manufacturing the new tank. The first product delivered was the third pre-production prototype previously ordered for extra testing. Externally, the TAM can be compared to a Marder IFV fitted with a rear Leopard turret. The hull is constructed of welded laminated steel RHA. The hull has a pointed nose, a very long sloped glacis plate, 50 mm thick (1.97 inches at 75 degrees) protecting the powerplant and transmission. The engine is frontally mounted, which was uncommon at the time. The engine compartment was on the left-hand side, separated from the driver (right-hand side) and fighting compartment (rear) by fireproof bulkheads. The driver had a one-piece hatch opening to the right, and three periscopes covering the frontal arc, while the central one could be replaced by an IR vision block for driving by night or in poor visibility. The engine could be accessed by a single very large hatch, opening to the right, which allowed access to most of the engine parts and allowed the lifting and replacement of the engine as a single unit on the field. The hull was made entirely waterproof and the TAM could, therefore, cross 1.40 m of water or up to 4 meters depth after preparation. A snorkel was then installed at the rear, over the engine louvers. Exhaust fumes were conducted along the hull, exiting to the rear. NBC protection is also provided as a standard. The main fighting compartment was placed at the rear. The hull’s sides were also sloped at 32 degrees, protecting against anti-armor shells from guns up to 35 mm (1.38 inch) in caliber. The choice was made to increase mobility over protection and play on the low profile of the tank to make it a difficult target to spot and hit. In addition, a generous array of smoke grenades (and later flares) was added to provide an extra layer of active protection. The sloped sides received a large array of fixations and straps to carry tools and a steel cable. Provisions were also made for the fording equipment, and for extra skirts along the sides for protection. As a standard, only the front and rear mudguards had side extensions in the early production model. One of the best assets of the TAM is its speed. Power was provided by a German proven and reliable MTU MB-833 Ka 500 diesel engine, with an output of 540 kW (720 hp) at 2,400 rpm. The power-to-weight ratio was therefore of 24 horsepower per tonne, allowing a maximum speed of 75 km/h (47 mph) on road, and up to 40 km/h (25 mph) off-road. It is connected to a Renk HSWL-204 automatic transmission, coupled with a hydrodynamic torque converter for better flexibility and handling. The fuel capacity is 680-liter (180-US-gallon – 150-imperial-gallon), carried internally, which allowed a 500 km (310 mi) autonomy. However, this range can be extended to 900 kilometers (560 mi) by the use of the two rear-mounted drum-type 200-liter (53 US gal – 44 imp gal) external fuel tanks. For braking, a double brake system was installed, comprising hydraulic disk brakes on the road wheels. Suspensions were the well-proven torsion bar system developed for the Leopard and also adopted for the Marder, which provide an excellent mobility. Field performances include the crossing of a 2.5 m wide trench, 60% gradient, 30% side slope, and a 0.9 m vertical step. The chassis was manufactured by General San Martín. The turret is reminiscent of the Leopard one, with a low-profile, wide, roomy, and protected by layers of laminated RHA. It also has a characteristic front mantlet reminiscent of German productions. The turret front was protected by 50 mm (1.97 in) of steel armor at an angle of 32 degrees, which was quite light. The mantlet width was much reduced compared to the three-sided turret that offered only frontal slopes to enemy fire. The gunner was located on the right-hand side, with his own periscopic gunner day sight with 8x magnification. Behind was located the commander, with his own cupola fitted with large vision blocks providing a 360° peripheral view, and a Zeiss PERI-R/TA panoramic periscope, with a 2x and 8x magnification and IR in front. On the left-hand side stands the loader, with a hatch opening to the rear and his own periscopic day sight behind it. An FN MAG 60-20 machine-gun could be mounted on the commander cupola ring for AA defense purpose. Smoke dischargers were mounted in two banks of four on each side. A pistol port/manual ejection port was located on the left-hand side of the turret. Radio and extra ammo rounds were stored at the back of the turret, with a single large transverse hatch for loading above the pannier. Later in production, straps were fitted over the back plate to mount extra storage. The turret was manufactured by Río Tercero, with the armament made by Bator Cocchis, S.A. The TAM was given a main gun and fire control system (FCS) derived from those of the German Leopard. 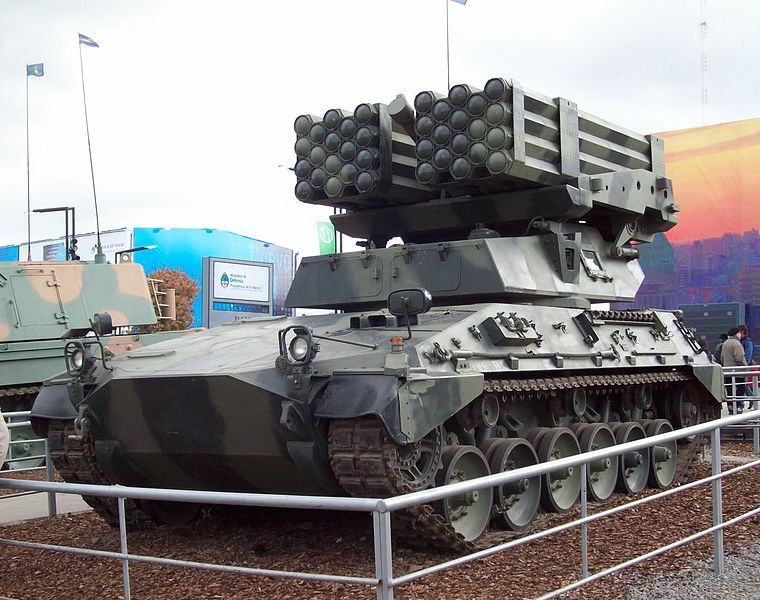 Initially, the TAM was meant to be armed with the British Royal Ordnance L7A1 105 mm (4.13 in) main gun, but it was replaced by the modified L7A2 and then the Rheinmetall Rh-105-30 105 mm (4.13-inch), manufactured in Argentina as the FM K.4 Modelo 1L. This version was relatively more compact and light than the original L7, but had even better performances. The Argentinian version did not have a muzzle brake. The FM K.4 had 18°/-7° of elevation and its hydraulic recoil mechanism run was 580 mm (22.8 inches) for absorbing a 34-tonne recoil force. The regular ammunition was the M735A1 APFSDS, with 370 mm of penetration (14.6 inches) @ 1 km (1,100 yd). It could also fire HEAT rounds, HESH, and smoke rounds. The secondary armament included a co-axial 7.62 mm (0.3 in) FN MAG 60-40 general purpose machine gun. The FCS of German manufacture included a Nd:YAG laser rangefinder with a range of 9,900 meters (32,480 ft) coupled with an FLER-HG ballistic computer to provide a fire solution for the gunner. There was no hunter-killer mode but the gun was fully stabilized. Production of the TAM was managed by the newly created Tanque Argentino Mediano Sociedad del Estado (or TAMSE) founded by the government. 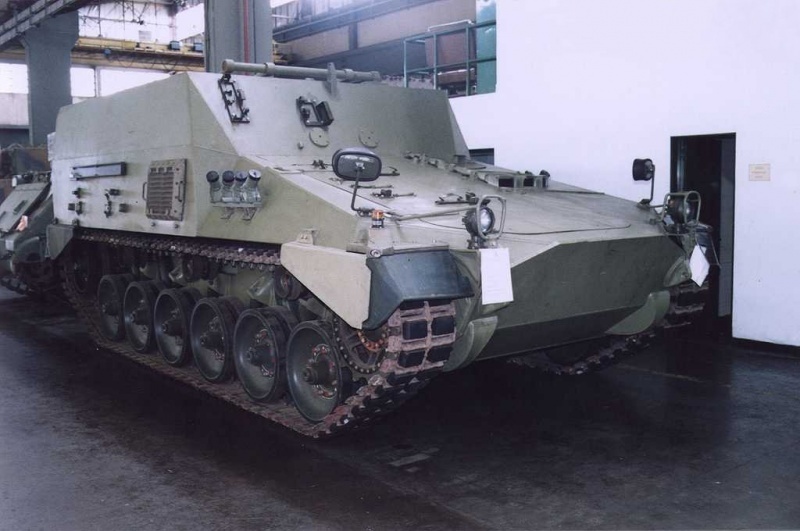 It was set-up to start in 1979, with an initial order of 512 vehicles, including 200 medium tanks and 312 VCTP IFVs. 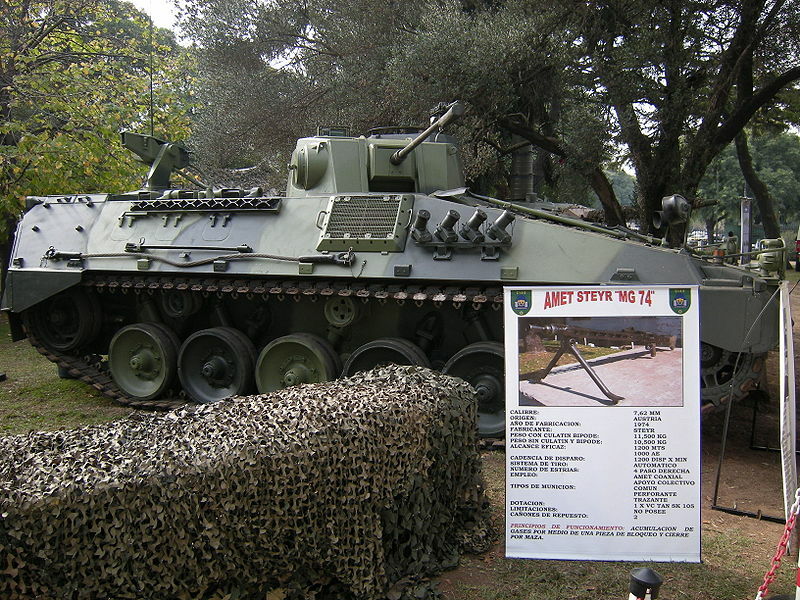 However, due to an economic crisis and drastic budget cuts, only 150 TAMs (and 100 IFVs) had been delivered until 1983 when it was all halted. At that stage, 70% of all parts were manufactured locally, with 30% imported from Germany. 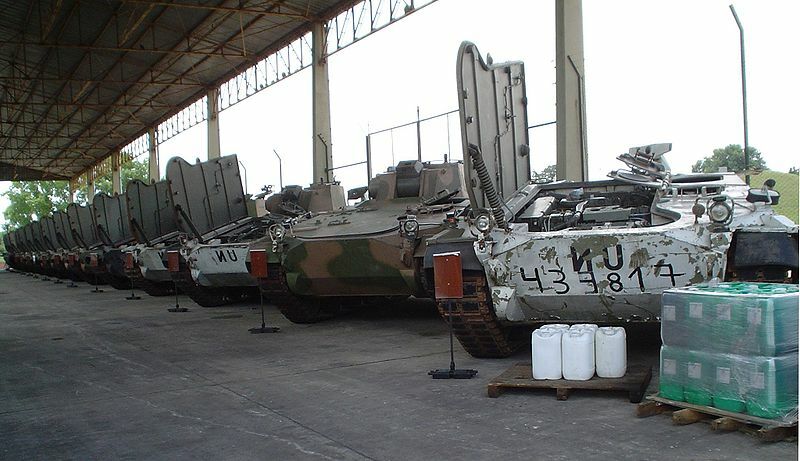 20 more were delivered after Peru ordered 80 tanks (latcanceledled), and the production line was eventually reactivated in 1994 for further orders. It was completely shut down the next year, after a total of 280 were built. As a private venture, Thyssen-Krupp built a fourth prototype in 1978, called TH 301. It was given a PERI R12 periscope (same as on the Leopard 1A4) and a low light level television (LLLTV) camera fitted over the main gun mantlet, which also received a thermal sleeve. A 750 hp (550 kW) engine was also provided and the protection level was increased. In 2010, a second modernization (TAM 2C) program was proposed by the Israeli defense contractor Elbit Systems. The prototype was delivered and tested in March 2013. However, conversion is still stuck due to financial and political problems. Another upgrade variant was unveiled in 2015, the TAM 2IP. It features more armor added to the turret and hull. The first historical variant developed alongside the TAM was called the Vehículo de Combate Transporte de Personal. It was given a rear compartment large enough for 12 infantrymen, the squad leader being seated in the central turret armed with a rapid-fire 20 mm (0.79 in) Rheinmetall Rh-202 autocannon. The soldiers could fire their weapons from the inside, through pistol ports. The autocannon has 880 rounds in supply, including the armor-piercing DM63. There is also a roof-mounted FN-MAG GMPG. The commander cupola is a modified 7-vision block cupola. This vehicle has obvious similarities with the Marder. 350 of all the 500 planned were built until 1995. The Vehículo de Combate de Artillería de 155 mm has an elongated version of the TAM chassis and the Italian Oto Melara’s Palmaria turret and a main 155 mm (6.1 in) gun-howitzer. The original Palmaria was developed on the basis of the OF-40, a locally built Italian Leopard. Both models shared a lot of common parts. 28 rounds are stored, including 23 in the turret bustle. The maximum range is about 45 to 50 km with additional round booster. In addition, there is a roof-mounted FN MAG GMPG machine-gun. The VCA is the heaviest of all TAM varaints, weighing 40 tons, and the slowest (55 km/h). The VCTM (for Vehículo de Combate Transporte de Mortero) carries an AM-50 120 mm (4.7-inch) internal mortar. Maximal effective a range is 9,500 meters (31,170 ft) with an average rate of fire of 8 to 12 shots per minute depending on the crew’s skills. The VCPC Command vehicle or Vehículo de Combate Puesto de Comando 25 t has another set of radios and generator, and a single GMPG machien-gun for close defence. The VCLC (Vehículo de Combate Lanzacohetes) rocket launcher had a set of two banks of 160 mm (6.3 in) or 350 mm (13.8 in) rockets, centrally mounted in place of the turret (1986). The VCA (Vehículo de Combate Ambulancia) is a combat ambulance and the Vehículo de Combate de Recuperación (VCRT) is the ARV version (armored recovery vehicle). The TAM arrived into service a few months too late to take any part in the Falklands war. It’s only active foreign duty was a peacekeeping mission in Croatia in the 1990s. The TAM and its derivatives are still in service today. The factory line can be reopened and reactivated if a new version was to be built or if exports materialized in the meantime. Iran (1986 – 1,000 vehicles estimated purchase, but never sold due to US pressures), Iraq (1986 – 400 vehicles, export cancelled due to third-parties technology transfer blocked by Germany), Peru (1987 – 40 TAMs, cancelled on economical grounds), Ecuador (1990 – cancelled), Kuwait (1993 – provisional order for 250 vehicles prevented by US intervention). Early production Tanque Argentino Mediano prototype in green livery, 1979. Mid-series TAM in a green camouflage, 1990. Mid-series TAM (1994) with the usual light brown/light green pattern. TAM 2C, modernized by Elbit Systems, 2010s. Upgrade for the TAM 2C is far more extensive: LAHAT missile-launching capacity, electric -vs hidraulic on the TAM- Honeywell FCS with BMS for C4i – including laser designator, thermal camerca, panoramic periscope, a new APU, etc. TAM 2C is a joke…..first they must put the tam in combat condition and they have not reciver proper care in 20 years.